Our band, The Flukes, has been starting to find its feet, and have been gradually evolving towards a preference for jazzy, bluesy, country type material. So when we were looking for new material to add to our repetoire, it didn’t take long before this 1960s classic came to the surface. Amazingly, this song was never released as a single back in the day, only surfacing in that format in 1994 off the back of a TV advert. 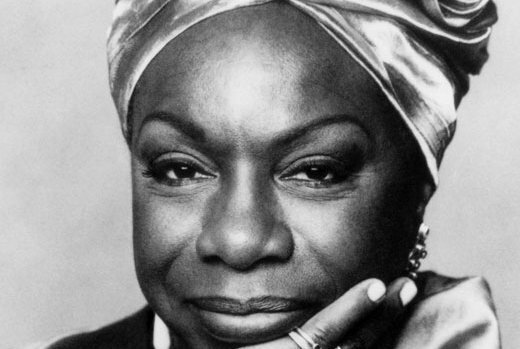 Yet this is as well known and loved as anything from the Nina Simone catalogue. Written in 1964 by Anthony Newley and Leslie Bricusse for the musical The Roar of the Greasepaint – The Smell of the Crowd, Simone recorded it a year later for her album. It is fair to say that it was Simone’s recording that really transformed the original and turned it into a standard that has subsequently been covered by artists as diverse as Muse, Michael Bublé and The Pussycat Dolls. The songsheet is in the same key as the Nina Simone version. It is essentially made up of a continual loop based on G minor, with a C / D sequence thrown in during the chorus. The G minor sequence includes a G / F / Eb / D run-down on the bass – not easy to achieve on the little ukulele, but I think the chords shown here work. The Gm/D is a bit of a stretch (for me, at least) but is worth persevering with. Enjoy! Categories: Jazz, Musical | Tags: 1960s, 1965, Jazz, Musical, Nina Simone, ukulele | Permalink. Eagles were never a band that were high on my sightlines. Having been persuaded early on by the orthodoxies of punk / post-punk / new wave, they were a band that seemed to be everything that those scenes were kicking against. Even when, much later on, I started getting into country music, Eagles still felt too slick, too corporate, too watered down to be interesting. But over time I must have mellowed. Whilst I certainly wouldn’t go as far as considering myself a fan, I’ve grown to really enjoy some of the songs. There’s some great songwriting going on, that general country/rock vibe is something I’m a sucker for, and those harmonies help seal the deal. Lyin’ Eyes is a classic example. More country than rock (although it’s Grammy nomination was in the pop song category), it does one of the things I particularly like about many country music songs – it tells a story. Not a happy one, and not one that resolves itself in any satisfactory way. But it’s a story that takes you on a journey, one that’s undoubtedly human and which you can identify with, even if you haven’t been in the self-same situation. The song was a huge hit in the US, but only a relatively minor one in the UK, where the band never really established themselves as a singles band. So here’s the song sheet. It’s quite straightforward, with a relatively simple rhythm and pattern, and a relatively straightfoward set of chords. Apart from that G9! It definitely sounds better with it, but if you struggle with it then you can get away with a G7. Enjoy! 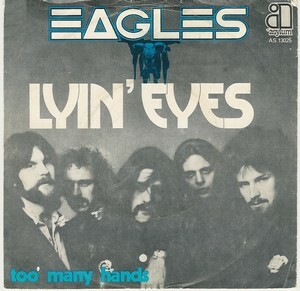 Categories: Country | Tags: 1970s, 1975, Country, Eagles, ukulele | Permalink.